Question: Some claim that it is Shankara's view that the scriptures are the one and only means of Self-knowledge, and as the sole pramana (which they define as means of knowledge), listening to them alone (sravanam) yields jnanam. Mananam and Nididhyasanam are only for the assimilation of knowledge gained through Sravanam. According to them nothing yields jnanam, neither nirvikalpa samadhi nor any type of mystic experience. 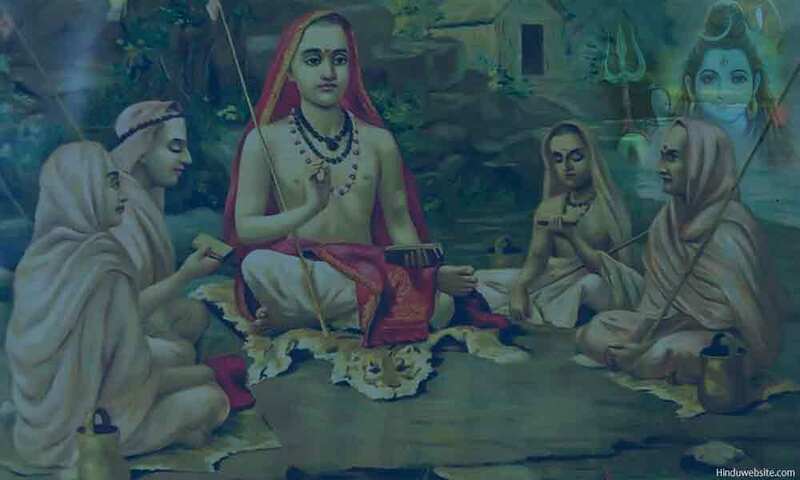 There is only one way, and that is Sravanam of Vedanta through a Sampradayika Guru with Sankara Bhashya, given to a qualified Sadhaka with Sadhana Chatushtayam. This upset me at a deep level....it was always my understanding, experience, and conviction that Truth is available for direct experiential knowing (aparoksha anubhuti) through the culmination of various spiritual disciplines, resulting in Samadhi, or the false self simply "disappearing," or being seen through. I humbly request your insight on the subject. This essay is about the meaning and importance of Sravanam, Mananam and Nidhidhyasana in the spiritual practice of Hinduism to achieve Moksha or self-realization. Is there only one better way to live life or experience anything? Is there only one path to knowledge and liberation? Can there be only one religion, one philosophy, one Prophet or messenger of God for the whole world or universe? If you heard so, you must examine such assertions in the context of your own observations about the world and nature of life. What you suggested in your question represents an ideal practice and a proven method. However, it is not the only method or approach which is found in Hinduism. You have several other ways to do Sadhana (practice) to achieve liberation (Moksha) or self-realization (Atmabodha). Such examples prove beyond doubt that knowledge of scriptures and spiritual practices such as meditation and concentration are helpful, but they are not strictly necessary. If a person is ripe for self-realization, it will happen spontaneously by itself. As the Bhagavadgita states, only after countless births does a person reach such a stage. However, Sravanam, Mananam and Nidhidhyasana (or Nidhidhyasa) have a great significance in Hindu spiritual practice. In the following discussion, we will examine their importance in achieving self-realization or Moksha. In the ancient gurukulas, they were the principal means to acquire and consolidate scriptural knowledge. Tradition says that you must acquire right knowledge by sitting at the feet of a true master and listening to his words. In a traditional sense, it is what Sravanam means. In ancient India, it was the means by which the Upanishads were learned by students by sitting near their master. In today’s busy world it is still practiced in academic institutions, but not so in spiritual learning. Nowadays, the gurus are not easily accessible as they are mostly surrounded by groups of people. Even if they are, you may not have access to them or the means to communicate with them. Thus, in today’s context, many people do not have the opportunity to learn the knowledge of the scriptures or the knowledge of liberation by sitting near their gurus and listening (Sravanam) to them. In the past, only the gurus possessed the specialized knowledge of the scriptures. Hence, people had no alternative. Nowadays, you can acquire that knowledge from multiple sources. If you are not fortunate enough to practice Sravanam, you can acquire it through self-study (Swadhyaya), which is also an approved practice in Hinduism. For added benefit, you may still practice Sravanam as part of your jnana yoga. You may listen to the words of your guru or wise people in person or through recordings, or seek clarification from them to cultivate right knowledge. You may also practice Sravanam in other ways such as listening to religious discourses, sacred chants, songs and prayers or meeting self-realized yogis. You may also listen to Nada, your inner, subtler sound, or your inner Self (antaratma). Scriptures play an important role in self-transformation and liberation (Moksha). As the living embodiments of great yogis, sages and seers, they constitute the main source of spiritual knowledge. In many ways, they are also the best alternative to a guru, when one is not available or accessible. By studying them, you gain the right knowledge to remain on guard in your practice and avoid making mistakes, which may prove harmful. For the deluded people, who are caught in the web or Samsara, scriptures are a great refuge. Without them, it is difficult for them to navigate their way through the difficulties of spiritual life. However, it is not true that “there is only one way” to study them or learn from them. In ideal conditions, Sravanam is effective. When it is not possible, you can choose other methods, according to your nature and temperament. As suggested before, self-study is the best alternative to Sravanam, especially in today’s world, where finding a true guru who is readily accessible is next to impossible. True knowledge or right knowledge (jnana) arises in the mind from the scriptures from study or listening. In both cases, the success depends upon concentration and attention. Both require effort, sincerity and faith, and both become complimentary if you can combine them in your practice so that you will have the right knowledge. In Hindu spiritual practice, knowledge has a great significance. On the path of liberation, knowledge is the true guru. Right knowledge (Vidya) is the foundation of all the Hindu yogas. Even Bhakti Yoga relies upon it only. True devotion arises from the knowledge of the Self which is acquired from the scriptures or enlightened masters. Knowledge removes ignorance and delusion and purifies intelligence (buddhi), whereby one develops true discernment (vivekam). Ignorant people, whose minds are clouded by desires, cannot worship God with the same devotional purity or sincerity as the knowers of the Self (jnanis). Hence, if you want to achieve Moksha, you must practice jnana yoga by studying the scriptures or learning them from a true master. A wise guru, who has the right knowledge, will not only teach you the raw knowledge of the scriptures but also its hidden secrets. With that knowledge, you can clear your doubts, purify your mind and body and cultivate the right attitude and mindset. Hence, in some respects Sravanam may be a better alternative to Swadhyaya. Traditionally, the Vedas have been accepted as the ideal scriptures for study, recitation and contemplation. However, you may choose any religious or spiritual text or texts that appeal to you. Mananam is recollecting or reminiscing what you learned from your self-study or heard from your teacher. It is a great way to strengthen your memory, keep your mind engaged in pure thoughts and consolidate your knowledge. It also provides you with an opportunity to memorize and summarize what you learned, clear your doubts and identify the areas where you may require further effort. In Nidhidhyasa (or Nidhidhyasana), you probe deeper into the knowledge which you acquired with the help of contemplation and self-inquiry (vichara). It is not a mechanical effort to remember or recall unlike in Mananam, but a determined effort to examine, analyze and evaluate what you learned with pointed and stable intelligence (sthithaprajna). Nidhidhyasa literally means to exert or absorb (ayasa) the mind or intellect (dhi) upon the treasure trove (nidhi) of knowledge or the hidden treasure itself (Self). Mananam and Nidhidhyasana are secondary and dependent practices, while Sravanam and Swadhyaya are primary. They are of not much value without the latter. They are also purely mental processes whereas the other two have a physical aspect. In both practices, the purity of your mind is a great asset. With purity, you will have stability, discretion and fewer mental filters so that knowledge becomes firmly implanted in your mind without the interference of your ego or its impurities such as desires, judgment or the likes and dislikes. With purity, you will find the practice of Nidhidhyasana more effective and natural, as you will be able to settle your mind in deep silence and keep your senses under firm control. Mananam is best practiced with concentration (Dharana) and sense-restraint (pratyahara), and Nidhidhyasana with concentrated meditation (samyama) in a quiet place, which is clean, isolated and free from distractions and worldly influences. In today’s world, you can practice Mananam anywhere and anytime, whenever you are free. However, Nidhidhyasana requires a quiet place and fewer distractions. Their continued practice will firmly ground your mind in right knowledge and awareness. In both practices, you become your own witness, guru and guide. What you learn from your study returns to you with greater clarity and wisdom and sets you firmly on the path to liberation or enlightenment. Whatever means you may choose to acquire the right knowledge, Sravanam (listening), Mananam (remembering) and Nidhidhyasana are the principal means to achieve self-realization (Atmajnana) or the direct (pratyaksha) experience (anubhava) of the Self, which is the highest goal on the path of liberation. Everyone who practices them is not automatically liberated. Karma and prior preparation play an important role in facilitating or obstructing one’s progress. The four methods consolidate the learned knowledge (Vidya) and set the stage for further effort. However, knowledge by itself does not lead to self-realization, unless it is put to practice with sincerity and unless the body and the mind are purified and disciplined to facilitate the transformation. When all practices are perfectly aligned, knowledge becomes a living reality in the subtle world of the aspirant (sadhaka). The truths that are learned through these tested techniques become validated or self-evident through direct experience. Until then, knowledge remains a mere hypothesis, a possibility or a theory. For it to become real, it must be validated by experience only. Neither the words of the guru nor the knowledge of the scriptures can compensate for its absence. It is true even in the transcendental realm. Unless the knowledge of the Self is validated by personal experience, one cannot be considered a true seer who has witnessed his own Self. Thus, direct experience (pratyaksha) is invaluable in both spiritual and worldly life. It is through personal experience only that knowledge becomes truth. All the six schools of Hinduism place their emphasis primarily upon Direct Experience (pratyaksha). The Bhagavadgita suggests that the various yogas must be practiced with right knowledge. From that arises the attitude of renunciation, detachment, discernment, sameness, equanimity, devotion and righteous conduct, without which one cannot progress far on the path of liberation or escape from the cycle of births and deaths. Now that you have heard or studied this knowledge, practice Mananam and Nidhidhyasa upon it.